Mexico's Yucatan Peninsula is dotted with thousands of caves that once housed prehistoric people and later became sacred to the Mayans. German archaeologists and filmmakers are currently involved in a project to explore with modern imaging technology and make a 3-D film of this underwater labyrinth. Caves near the Mexican city of Tulum: In recent years, specialist divers have explored and mapped out thousands of kilometer of these caves. The yellow line here indicates caves discoved by German diver Robert Schmittner. A person died here hundreds of years ago. His body fell into the flooded cave and sank into the water. His flesh gradually separated from his bones. Today, he stares at divers out of empty eye sockets. 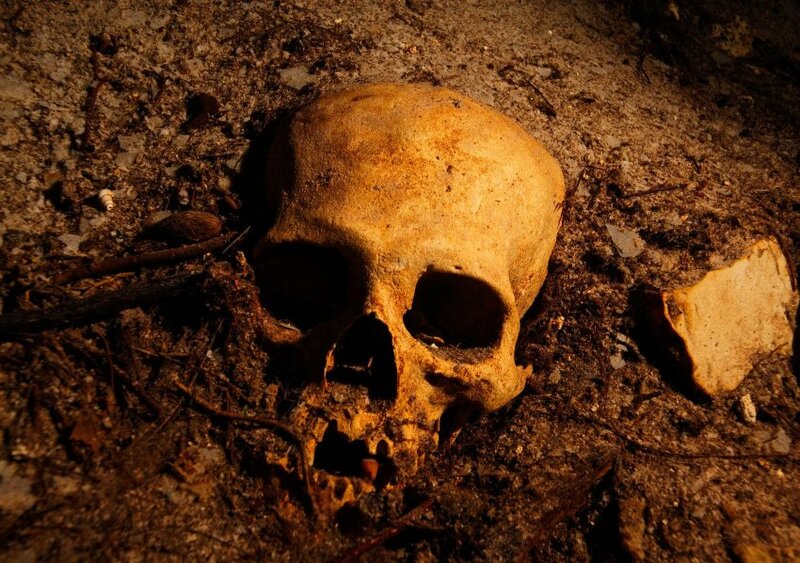 His skull seems to be pushing its way out of the soil, as if he were trying to rise from the dead, to rise up from the sand, shake the tiresome sediment from his bones and escape from the silent darkness. The others would probably want to follow him, because he isn't alone. 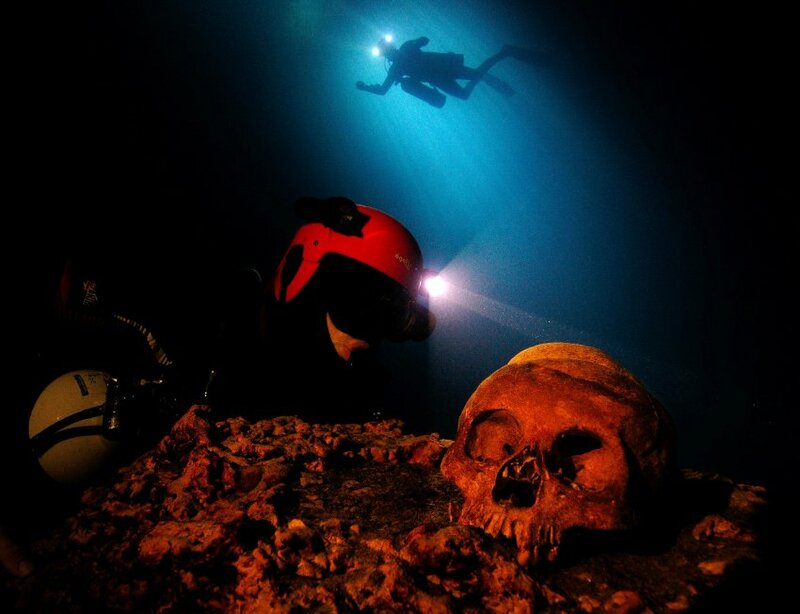 The remains of more than 125 people lie in the Las Calaveras cenote. No one knows how and why the bodies got there, whether the people died at the same time or the bodies accumulated over the centuries. The cenotes on Mexico's Yucatan Peninsula are a strange and yet unsettlingly beautiful world. They are created when the ceilings of limestone caves collapse. Some of the holes fill up with rainwater, while others reach down to the water table and are connected to giant cave labyrinths. In the Stone Age, many of the caves, which were dry at the time, were used as living quarters and burial sites. The Mayans later worshipped the cenotes as gateways to the underworld Xibalba ("Place of Fear"). A systematic exploration is currently underway. Divers have mapped out hundreds of kilometers, German scientists are preparing three-dimensional computer models of bones and ceramics, and the caves have now been documented with a 3-D film camera for the first time. 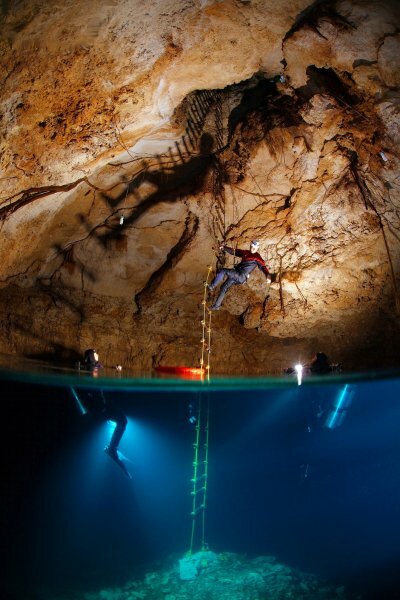 The resulting documentary film, titled "The Caves of the Dead," will be released in theaters in the summer of 2013.